A documentary filmmaker and a murderous doctor cross paths. 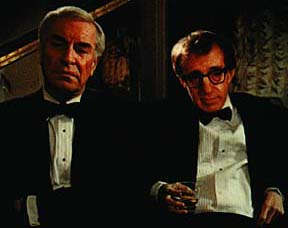 Director and writer Woody Allen's "Crimes and Misdemeanors" which is a unique blend of comedy and drama, and is a nearly perfect example of a filmmaker working at the height of his powers. Woody received a Oscar nomination for his talented directing. The top notch cast includes: Woody Allen, Caroline Aaron, Alan Alda, Claire Bloom, Mia Farrow, Joanna Gleason, Anjelica Huston, Martin Landau, Jenny Nichols, Jerry Orbach, and Sam Waterston.